European missile integration specialist MBDA has announced the joint acquisition of Dolphin Integration in partnership with Soitec, a leading semiconductor material design and manufacturing company. Dolphin Integration is an industry recognised provider of semiconductor design, silicon IP and SoC (system-on-chip) solutions for low power applications. The joint venture formed by Soitec and MBDA acquires Dolphin Integration, including all employees. The resulting ownership of the joint venture is Soitec at 60 per cent and MBDA at 40 per cent. Headquartered in Grenoble, Dolphin Integration was founded in 1985. It currently employs 155 people, including 130 design engineers. Soitec brings its engineered substrates expertise and unique low-power design methodology (body biasing) to accelerate Dolphin Integration design activities in low-power electronic devices, where a growing number of critical chips are built on fully-depleted silicon-on-insulator (FD-SOI) technology. "Dolphin Integration represents a strategic opportunity for Soitec to reinforce a full IP and service offering related to energy efficient solutions for chip design on FD-SOI. This is a major differentiating factor for FD-SOI and a key accelerator of FD-SOI adoption in major market segments," said Paul Boudre, CEO of Soitec. Soitec will strengthen Dolphin Integration’s position within the entire semiconductor ecosystem, to develop and promote products and services in several strategic markets, including mobile devices and infrastructure, data centres, and space and industrial applications. MBDA, a strategic customer of Dolphin Integration for defence applications since 2004, strengthens its existing industrial collaboration and long-term commercial pipeline for ASIC (application specific integrated circuit) and SoC products. With the support of MBDA, Dolphin Integration will be able to advance its positions in aerospace and defence design. Soitec and MBDA together committed to a financial investment of around €6 million, including the acquisition of most of Dolphin Integration’s assets, the payment of certain liabilities and a significant cash injection to finance Dolphin Integration’s working capital requirements. Antoine Bouvier, CEO of MBDA, said, "MBDA investment will strengthen the French defence industrial base since it will provide Dolphin Integration with a more stable flow of defence related revenues and a closer technological collaboration that will allow it to enhance the access of its specialised microelectronics offering to the entire French and European defence industry." Australia has a long relationship with MBDA, developed over 60 years. Australia’s soldiers and airmen have been protected by ground-based air defence (jointly developed Bloodhound and Rapier Systems) and airborne (ASRAAM and R530 air to air missiles), and has been able to take the fight to the enemy with the anti-tank guided missile, Milan. MBDA’s ASRAAM is providing the F/A-18 fleet with air combat capability whether over Australia or in the international coalition against ISIS. 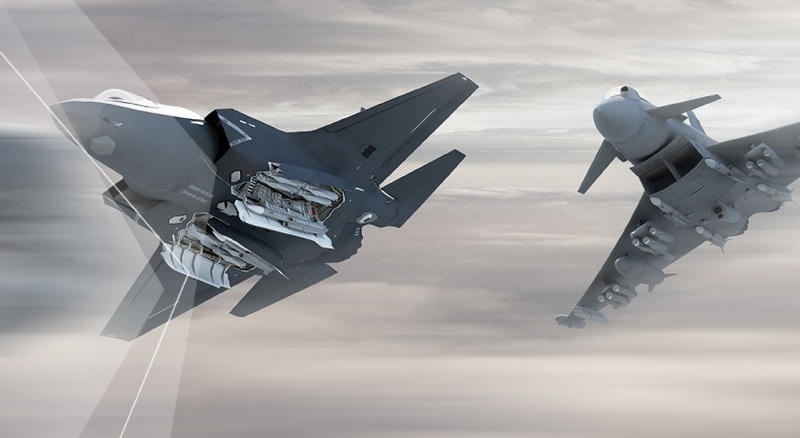 Through MBDA’s relationship with the Commonwealth, the company has jointly enhanced the ASRAAM missile to ensure it continues to meet Australia’s needs.